"Annie" is a beautiful fine fleeced medium fawn Royal Avenger Daughter and Royal Fawn Grandaughter. 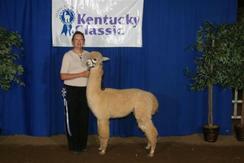 She produced a unbeleivable female cria spring 2006 by Royal Apollo. She had a awesome female medium fawn cria from Accoyo Michaelangelo. 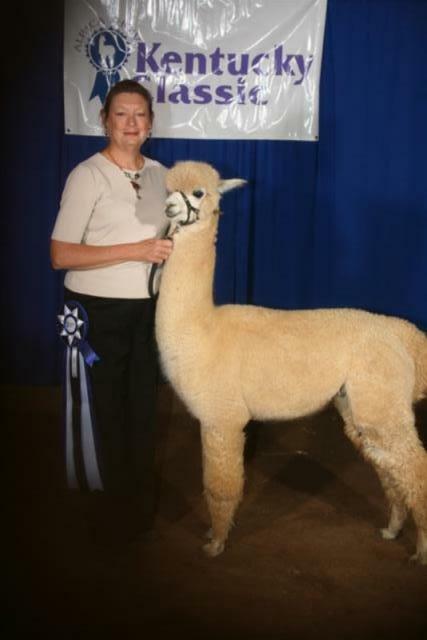 In October she delivered a fantastic male cria named Cyprus which will begin showing spring 09.She has delivered a fabulous female fall 2010 from MFI Peruvian Future our champion light fawn herdsire. Pharaoh is a male alpaca who commands attention at first glance. He claimed a first place in his first show at the Kentucky Classic. 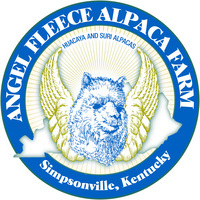 His fleece is a very fine high frequency and highly advanced. We are expecting great things from Pharoah as he continues to mature.